Dimensions 0.75 by 6.25 by 9 in. Amazon.com description: Product Description: This edited collection considers the relationship between task-based language teaching (TBLT) and technology-enhanced learning. TBLT is concerned with a number of macro-tasks such as information gathering and problem-solving as well as evaluative tasks, all of which are increasingly available via online and Web-based technologies. Technology Enhanced Learning refers to a broad conception of technology use in the language classroom and incorporates a range of interactive learning technologies such as Interactive Whiteboards and mobile learning devices. The popularity of Web 2.0 technologies (blogs, wikis, social networking sites, podcasting, virtual worlds), as well as practical applications of mobile learning, place a fresh emphasis on creating project-orientated language learning tasks with a clear real-world significance for learners of foreign languages. This book examines the widespread interest in these new technology-enhanced learning environments and looks at how they are being used to promote task-based learning. This book will appeal to practioners and researchers in applied linguistics, second language acquisition and education studies. About: Examines widespread interest in new technology-enhanced learning environments and how they are being used to promote task-based learning. 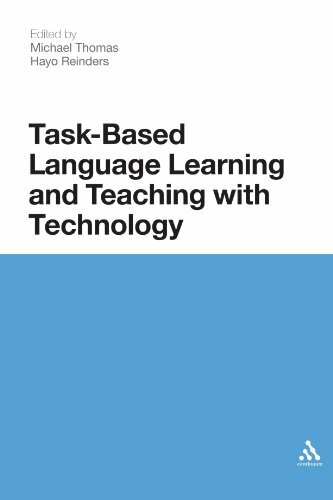 About: This edited collection considers the relationship between task-based language teaching (TBLT) and technology-enhanced learning.